Harlem Globetrotter star Torch George isn’t pump faking. 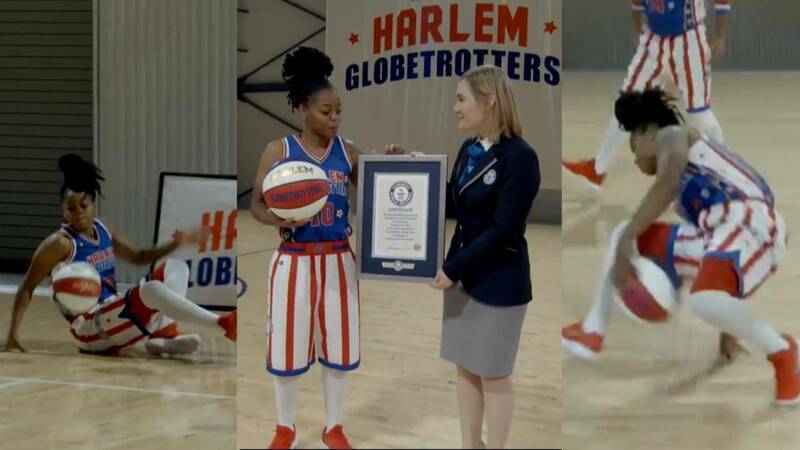 She has just broken a Guinness World record while also making history for the team. For the first time in team history, a woman set the record. She did it by racking up 32 under the leg tumbles in one minute. The Harlem Globetrotters have been around for 92 years. George is only the16th woman to play for the team. George credits the monumental moment to those who paved the way for her.